ROSEMONT, Ill., May 24, 2017 (GLOBE NEWSWIRE) — LaSalle Solutions, a leading provider of technology lifecycle asset management services, announced today that it has partnered with United Rentals and Rahal Letterman Lanigan Racing on their Turns for Troops program. LaSalle Solutions will donate $25 to SoldierStrong for every lap Verizon IndyCar Series driver Graham Rahal, driver of the #15 Honda, completes during the 2017 Indianapolis 500 on May 28. In 2016, United Rentals, the world’s largest equipment rental provider, and Rahal Letterman Lanigan Racing first partnered on the Turns for Troops program, raising more than $100,000 for SoldierStrong—which went toward the purchase of cutting-edge robotic medical devices that address a variety of physical rehabilitation needs. 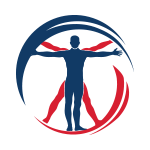 SoldierStrong donated these technologies to Department of Veterans Affairs (VA) hospitals nationwide and plans to do the same with this year’s proceeds. 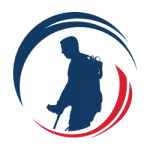 SoldierStrong, previously known as SoldierSocks, helps American patriots literally take their new steps forward. 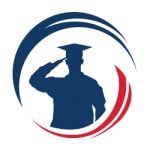 Through educational scholarships and by harnessing the most innovative technology in advanced rehabilitation, we help our returning service men and women to continue moving in the only direction they should know — forward. Nearly every dollar SoldierStrong receives goes toward direct support of American patriots so that they can re-acclimate to civilian life. Our organization works to remind those men and women who sacrificed so much that we are forever thankful.